The town authority runs projects on the occasion of 320 year form and establishment of Dong Nai province. Of the projects, there are two build-transfer projects with the investment model of land exchange for infrastructure. The first 3.68 kilometer paths from Hoa An bridge to Tram Dai ferry station costs VND1,788 billion. The second road starting from Ha Huy Giap street to Tran Quoc Toan street is 4.6 kilometer long with total cost estimate of VND3,604 billion and one path connecting Dong Nai River and Tran Bien Temple of Literature and a 529 meter walking road in Thong Nhat Ward. 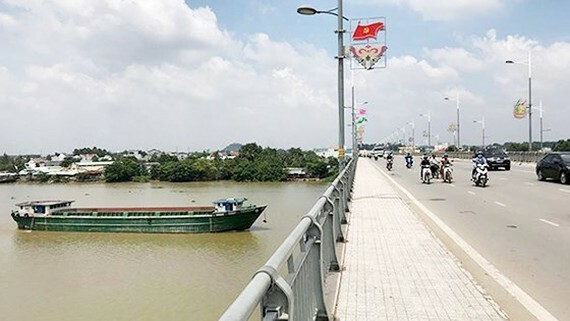 These projects help improving traffic infrastructure and river tourism between Bien Hoa Town and Dong Nai Culture and Nature Reserve (the Reserve) in Vinh Cuu District. Plus, connecting river tours from Ho Chi Minh City to the southern provinces of Dong Nai, Binh Duong and the Central Highlands.